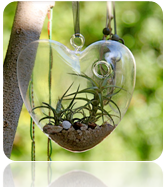 For those of you we still write down the date, Mother’s Day is coming on Sunday, May 13, 2012. Its that time of the year when we finally get the opportunity to really thank our moms! We figured out that with all the deals out there, it might help everyone if we’ll create a post that will include most of the hottest Mother’s Day specials. So if you are looking to show your mom your appreciation and pamper her with the special treatment that she deserves and turn the day into a total surprise you should definitely come back and check this post as we will be updating it until Mother’s day and adding new deals as they go live. 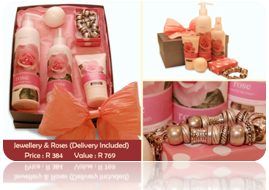 We would love to hear you feedback, please let us know if we missed any deal or if you have a great idea on how we can pamper our moms. Spoil your mom with a half-day at the spa – Save 50% and Spoil your mom with a half day Spa package that will leave her feeling relaxed, invigorated and rejuvenated. 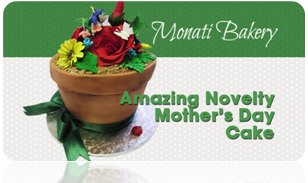 Pot plant-shaped Mother’s Day cake by Monati Bakery – Beautiful and tasty, spoil your mom with a chocolate sponge cake that will sweeten her day up!